NextA history of the First World War: No.6 The War Propaganda Poster. The following article is not about the statesmen of their respective empires like Wilhelm Kaiser of Germany, King George V of England, Franz Joseph of Austria or Czar Nicholas of Russia, but the men who led their armies in the field at the outbreak of war in 1914. Whether we call them supreme commanders or warlords, these men we are about to introduce, were ultimately in charge of their soldiers lives often through decisions made far behind the front lines, pouring over maps and yelling out orders. Many of these men hoped for a rousing victory through sheer weight of numbers and an offensive mindset, while others hoped to regain lost territory and then there were those who thought they could bully smaller nations into submission. Most of these men in 1914 were elderly men with exceptional skills, but who had only studied war in books or on manoeuvres. This, of course, isn’t true of all commanders at the beginning of the First World War. British commanders had seen real fighting a decade earlier in the Boer War. However, the Boer War was considered only a small colonial war in comparison to the one that unfolded in 1914. Nevertheless it is safe to say that all the generals in 1914 were fighting a wholly new type of war. So in order to succeed they had to adapt quickly and if that meant studying manuals and war plans, so be it. The following list below are the men who believed that their own detailed plans and actions would dictate the course of the war in their favor in the summer of 1914. Many had a lot to live up to and reputation alone was not going to win the war. Cunning and vision might, but lets not get carried away just yet. Lets begin by introducing the commanders of 1914 that I believe mattered most. We cannot dissect every single detail about them, but we will definitely visit them again throughout this series. Helmuth von Moltke was the nephew of the great Moltke the elder, hero and victor of the 1870-71 war against France. His uncle is arguably the greatest strategists of the latter nineteenth century. It begs the question then, was Moltke the younger a warmonger like this famed uncle ? Maybe. He was certainly a very intelligent and cultured individual and with that and his family connections and close association with the Kaiser, he was always going to be favoured to succeed as a possible Chief of the German General Staff. He got his wish in 1906 and immediately began to consolidate his hold on power with an unhealthy obsession with his predecessors plan (Count Alfred von Schlieffen) to win an all out war simultaneously with both France and Russia. (Some even say that although the Kaiser liked to think he ruled Germany, real power lay with Moltke, who controlled the most powerful military state in Europe.) As war broke out Moltke initiated the Schlieffen Plan, a massive sweeping advance through Northern France with the view of embarking on an assault on Russia after he had consolidated his victory over France. Although he had some initial success with Schlieffen’s plan it eventually brought calamity upon Germany by virtually inviting Britain, amongst other things, into the war. We can discuss the Schlieffen plan until we go blue in the face. Some historians dedicate considerable pages to it. I wont bore you with all its detail but will point out that its reliance on speed of movement meant that it was inflexible and unrealistic. The Schlieffen plan, which historian John Keegan argues just might prove to be “the most important official document of the last hundred years…, is also often the subject of great debate about the fortunes or misfortunes of Germany in the war. Germany’s great blunder was arguably its sweeping advance through neutral Belgium to enter Northern France. It ultimately failed to meet its objectives and the war in the summer of 1914 quickly turned into a stalemate. Nevertheless, before anyone realized this would happen, Moltke was hell-bent on putting his modified version of the plan into effect. But as a month or so passed he began to ask “Where are the prisoners ? Where are the captured guns ?”. With this Moltke began to lose his nerve and control over his field commanders, as initial success on the frontiers turned into disaster on the Marne. (Furthermore, Moltke did not expect the Russians to mobilise so quickly in the east.) 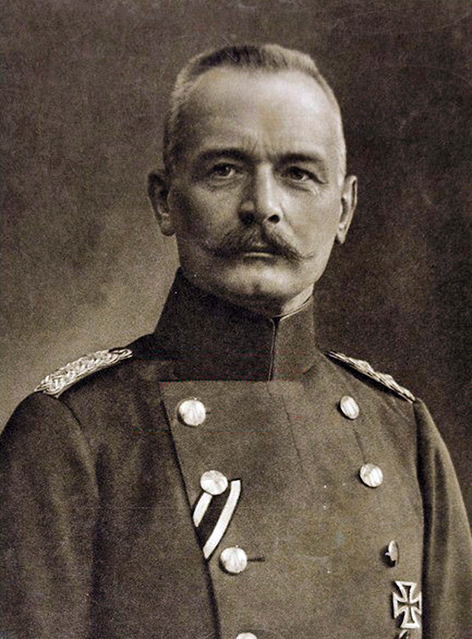 He was promptly replaced in command by Erich von Falkenhayn and would die a broken man in 1916. Moltke the younger’s nemesis was General Joseph Joffre, who was ultimately responsible for carrying out the French war plan (developed by General Foch) simply known as Plan XVII. Its aim was primarily concerned with launching an attack to recapture the lost territories of Alsace and Lorraine. Interestingly enough, earlier versions of the plan had involved a secondary strike to take place in the north of France near Belgium, but Joffre who had refined Plan XVII by 1914 believed the Germans wouldn’t attack France via Belgium and risk bringing in Britain to the war. Furthermore Joffre believed Germany didn’t have sufficient manpower to carry out the Schlieffen plan in full. As it turned out he was wrong. The Germans did attack in great numbers through Belgium and also managed to rub insult to injury by massacring the French along the Lorraine front. With this the French found themselves soon in full retreat and came very close to defeat in those first few months of the war. But Joffre, as French commander-in-chief was remarkably able to turn his loses into gains. He showed incredible calm in the face of adversity and launched a counter-offensive, placing one of his best generals Foch in command of the Ninth French Army, which halted the Germans in the first Battle of the Marne in early September 1914. Sadly, he didn’t achieve any further real success along the front and as hard as he tried in launching a series of offensives in 1915-16 against the stubborn Germans, the deadlock in the war couldn’t be broken. His inability to halt the Germans in Verdun in 1916 was his eventual undoing. The strain of failure began to affect him and the man often affectionately known as ‘Papa Joffre’, would service out the rest of the war in a ceremonial position after his resignation as commander-in-chief in 1916. He was replaced by General Robert Nivelle. The gigantic steamroller that was meant to be Russia, in my opinion, ultimately never took off. It ran out of puff before eventually imploding on itself by 1917. The Russians were always reluctant to go to war, but promised to stand by its allies. To do this a strong overall response would be needed. However their commanders would suffer from a lack of overall coordination and strong leadership. Weak men like Grand Duke Nikolai and Czar Nicholas would act as Russia Achilles heel. 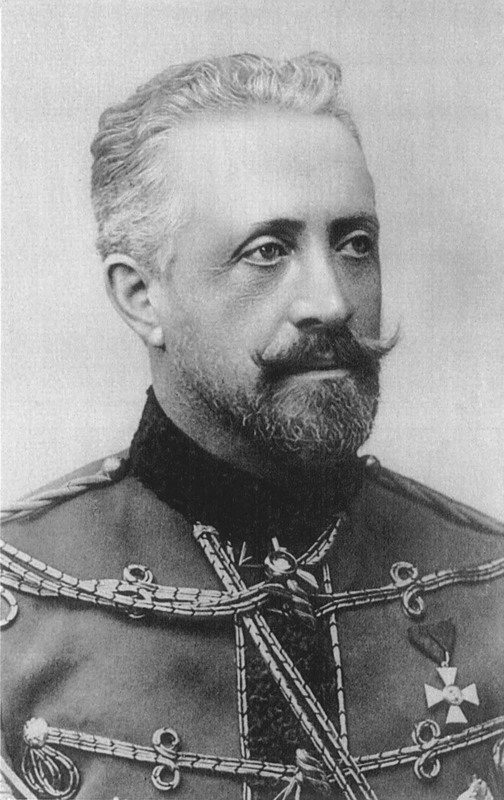 The Grand Duke Nikolai, in particular, gave his generals a free hand in operations. Hesitant to make important decisions himself, he often listened to the plans and tactics of his generals picking what he liked best. It is not to say that Nikolai never had a single thought in his head. He was after all part of the inner circle that put in place a modified version of Russia’s war plan (Plan XIX). Russia’s plan took into account that the Germans would put into place its Schlieffen Plan by attacking France first. Therefore, Russia itself gambled on deploying its largest force against Austria-Hungary via Galicia and attacking the Germans with a smaller Russian force on the East Prussia border. In theory, this was suppose to work, however the Russians would be hampered by problems with mobilization, poor equipment and training allowing the Germans time to reinforce their eastern front and in effect giving the German army their first taste of victory in the Battle of Tannenberg. Grand Duke Nikolai was very well liked amongst his peers, but he was never really a general in the strictest sense. In 1915, Nikolai was dismissed as Commander-in-Chief by Czar Nicholas, who took over overall responsibility of the Russian army. Nikolai would be moved over to help command the Caucasus troops against the Ottomans. However, although he was officially in command in the Caucasus, his subordinate General Yudenich basically ran the show. It is my humble opinion General Conrad holds a controversial spot at ‘the table of warmongers’ who we can blame for igniting the fire that was the First World War. ‘Hell bent’ on a war with Serbia since 1908, Conrad was fortunately kept in check by Archduke Ferdinand. Regrettably nothing would save Serbia from Conrad upon the Archduke’s death, as he schemed to annihilate Serbia in the July 1914. His plan for war was drawn up as early as 1909 with two major considerations. R staffel (Plan R) allowed for a majority of the Austro-Hungarian army to be deployed against Serbia’s ally- Russia, with a smaller force against Serbia. While B Staffel (Plan B) was the reverse of Plan R with a stronger initial response against Serbia before swinging around and attacking Russia head on. He very likely weighed up the probabilities of both plans and decided to attack Serbia gambling on the fact that the Russians would move slowly in its mobilization. It was somewhat similar in the logic as the Schlieffen Plan, based on the notion of wiping out the weaker enemy (Serbia) first. Even despite warnings from his German counterpart Moltke, Conrad proceeded as he saw fit. Although some underlining fears bubbled beneath the surface, Conrad was confident enough that Austria would prevail quickly in defeating Serbia. What could possibly go wrong ? Austria outnumbered Serbia some sixty divisions to ten. Unfortunately Conrad would learn that Serbia would not capitulate easily, which allowed the Russians time to mobilise. 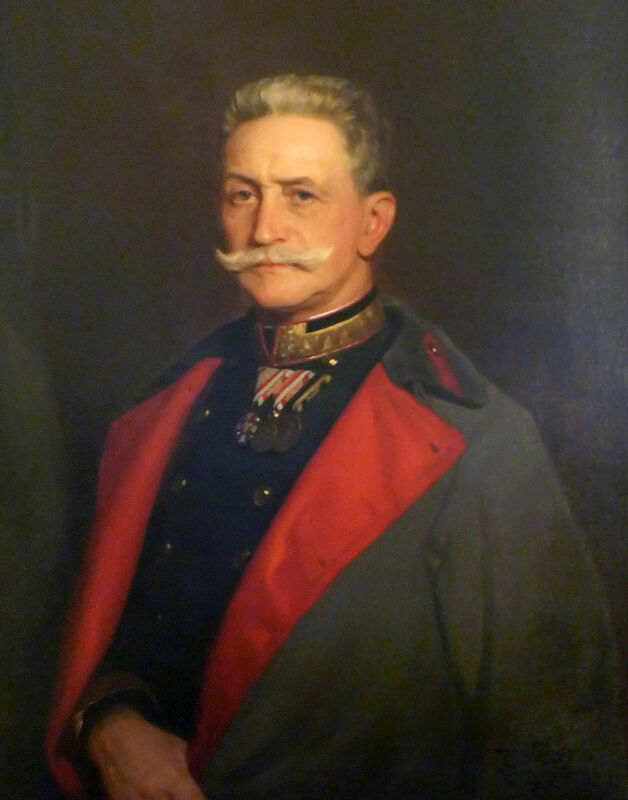 This blunder and the subsequent errors he made in the first year of war, ultimately crippled Austro-Hungarian military capabilities and aspirations. I am particularly resentful of most British generals during the First World War because I believe they often seemed oblivious to the slaughter of good men in the never-ending battles of attrition. Tens of thousands of men could have easily been spared a horrible death but the British Empire was too willing in its call to use its vast reserves of men including those from its Commonwealth dominions. Australian and New Zealand soldiers in the early years of the war were often treated like pawns on a chessboard, which we all know are often seen as the most expendable pieces. The Gallipoli campaign often comes to mind as one of the most disastrous use and abuse of men’s lives. The Battle of the Somme is also another tragic story of butchery, which met strong criticism from all quarters including the British government. Nevertheless, keeping all of this in mind, it is still important that we briefly introduce Sir John French as the British commander at the beginning of the war. French had been a successful commander during the Boer Wars of 1899-1902. This led to him to being favoured as the man who should lead the British Expeditionary force (BEF) to Northern France in August 1914. However, he would prove deficient as an inspiring commander. The losses and subsequent retreat from Mons would very quickly turn into the beginning of the end of French’s command. At Mons he also suffered a complete loss of confidence and nerve. Only when British Secretary, Lord Kitchener personally made a visit to France in September 1914, did French’s resolve slightly improve. His confidence did eventually return after the successful counter offensive at the Marne but this was short-lived. His reputation would be forever plagued by his inability to work successfully with his French counterparts and the heavy losses of his men. French would resign in December 1915 and be replaced by General Douglas Haig. On the 14th September 1914, Helmuth von Moltke was replaced by Erich von Falkenhayn after the failure of the Schlieffen offensive. He was regarded as a cold-blooded militarist, but also rising star in the German command. His weakness though was arguably his skepticism. He would often scorn at his subordinates ideas about opportunities that presented themselves during the war. This made him somewhat fearful of the success the ‘dynamic duo’ of von Ludendorff and von Hindenburg were having against the Russians. 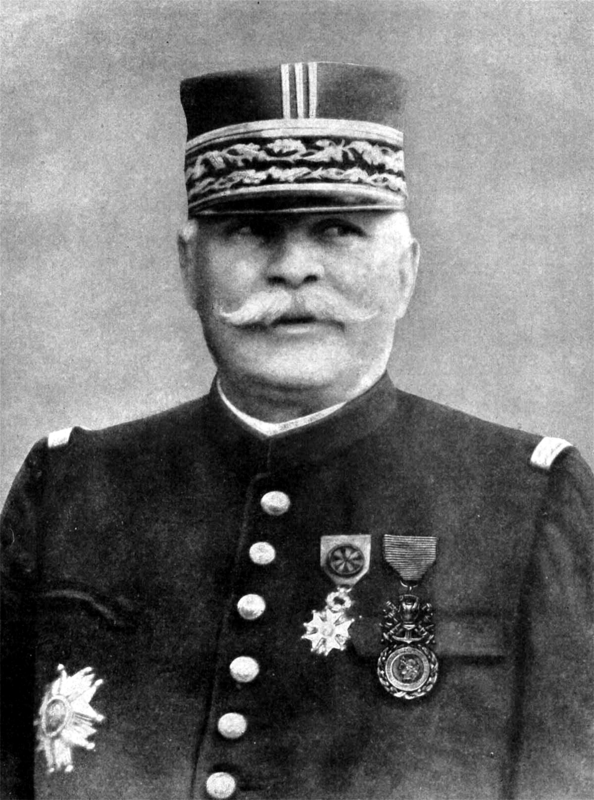 In spite of his concerns, by November 1914 on the western front, he decided it was best to “abandon manoeuvre warfare and adopt deep, defensive positions for the foreseeable future.” He was prepared to match the French in a battle of attrition and claim once that he wanted to “bleed France white”. 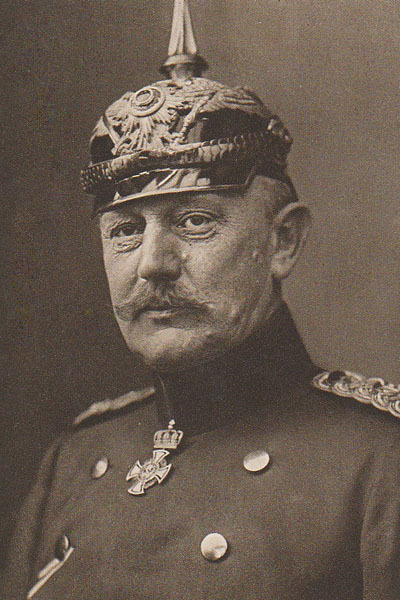 However, after the failure at Verdun and some discontent with reverses in the east, Falkenhayn was replaced by Hindenburg as Chief of the General Staff. Misha Glenny, The Balkans: Nationalism,War and the Great Powers, 1804-1999, penguin Books, 2000. Peter Hart, The Great War 1914-1918, Profile Books, 2013. Photo Credit All images are in the public domain except the photo of Eric von Falkenhayn comes from the German Bundesarchiv and is used under Creative Commons 3.0 (Attribution) license. Excellent! But no Paul von Lettow-Vorbeck, the only German general of World War 1 to win his campaign? He’s also often regarded as the most successful guerilla commander of all times. Stay tuned Richard. Part 2 still to come and hopefully von Lettow-Vorbeck down the track. Great post!! I enjoy the reading!!! Great post as always. Looking forward to Part 2!